This recipe and photo credit: LDS Living Magazine. These brownies taste better the next day. Preheat oven to 350º F. Butter and flour a 9 × 13-inch baking dish. In a large microwaveable bowl, heat chocolate and butter on high at one minute intervals, stirring often to avoid scorching. When chocolate mixture is melted and smooth, add sugar and salt. Stir in eggs, one a time, and then buttermilk and vanilla. Add 1½ cups flour and mix well. In a small separate bowl, stir together remaining ¼ cup flour and chocolate chips. 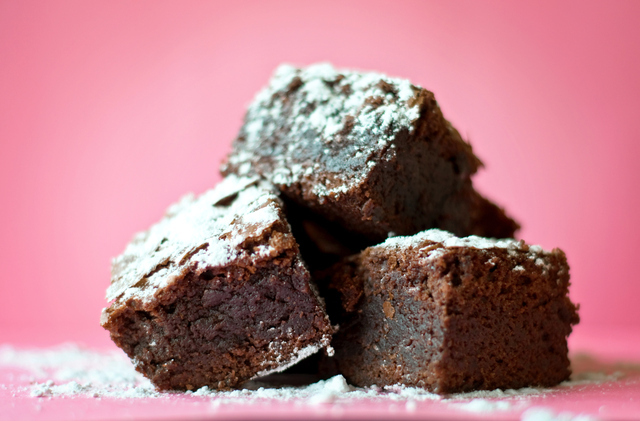 Pour chips and any flour from bowl into brownies. Stir until just combined. Pour mixture into prepared baking dish. Bake for about 28–32 minutes, or until toothpick inserted into center comes out with a few fudgy crumbs. Do not over bake. Let cool for at least 30 minutes. Store brownies in same baking dish, uncut until serving.